Superior or more excellent (KJV) is diaphoros, which can mean varying, but in this instance means different in a surpassing way. 1. Jesus is the Communicator. A. Jesus is the Message. 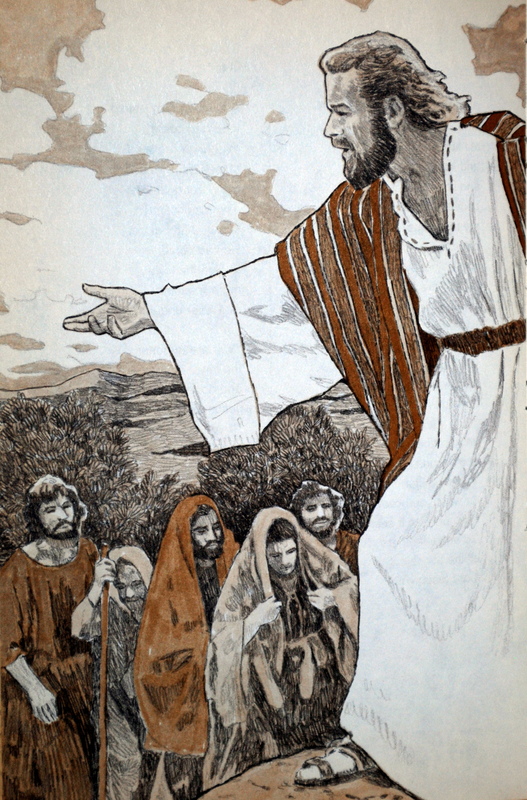 Here He is described as the charaktér tés hupostáseōs autoú – “the exact image of His [God’s] essence” Whatever the divine essence is, Jesus is said to be its perfect expression. 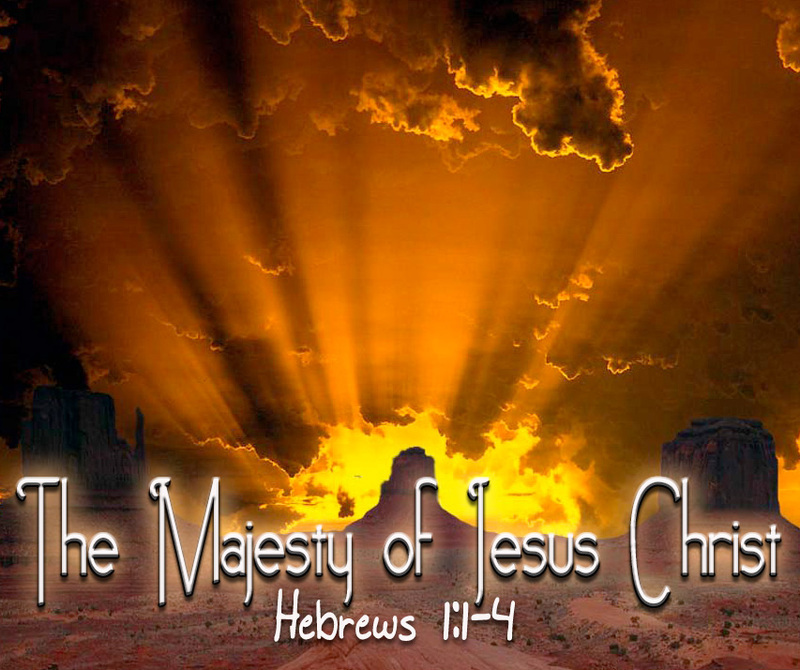 The writer of Hebrews thus sets forth a high Christology affirming the deity of Jesus Christ. 1 John 1:1-3 That which was from the beginning, which we have heard, which we have seen with our eyes, which we looked upon and have touched with our hands, concerning the word of life— the life was made manifest, and we have seen it, and testify to it and proclaim to you the eternal life, which was with the Father and was made manifest to us— that which we have seen and heard we proclaim also to you, so that you too may have fellowship with us; and indeed our fellowship is with the Father and with his Son Jesus Christ. God Himself came to us and spoke directly with us- in the flesh, in His words and in His life! Jesus Christ is the brightness of His glory – ‘the radiance shining forth from the source of life” He speaks the very light of Life! For God is Life! Matthew 5:21-22 “You have heard that it was said to those of old, ‘You shall not murder; and whoever murders will be liable to judgment.’ But I say to you that everyone who is angry with his brother will be liable to judgment; whoever insults his brother will be liable to the council; and whoever says, ‘You fool!’ will be liable to the hell of fire. Do you listen to Jesus each and every day? Does His message excite and thrill you anew every morning? Or are you mired in the past, content with old habits or traditions? Jesus is the Living Message! B. As the Heir of all things, We should stop and listen. “Whom he appointed the heir of all things” and as the HEIR, He has all the stuff we need! How much time do you spend worrying and fretting about stuff, when you should be going to the one who has it all! Listen, observe, follow, desire, and make Him your Lord. We spend so much time chasing stuff instead of following the one who holds all the stuff. He created you. You are not evolved from monkeys or iridescent goo. You are no accident. The worlds are upheld by the Word of His power! Take away Jesus and the universe falls apart! Is your world being upheld by the Word of His power? Is your world out of control, upside down, discombobulated? Then you are not tapping into the power of His Word! No matter how chaotic this world may seem, Jesus is in control. He upholds it by the Word of His power! Shouldn’t you embrace His Word for your world? Do you believe in His Word? Do you know His power? Are you trusting in His power?  John 14:13-14 Whatever you ask in my name, this I will do, that the Father may be glorified in the Son. If you ask me anything in my name, I will do it.  John 15:16 You did not choose me, but I chose you and appointed you that you should go and bear fruit and that your fruit should abide, so that whatever you ask the Father in my name, he may give it to you.  John 16:23-24 In that day you will ask nothing of me. Truly, truly, I say to you, whatever you ask of the Father in my name, he will give it to you. Until now you have asked nothing in my name. Ask, and you will receive, that your joy may be full. 3. 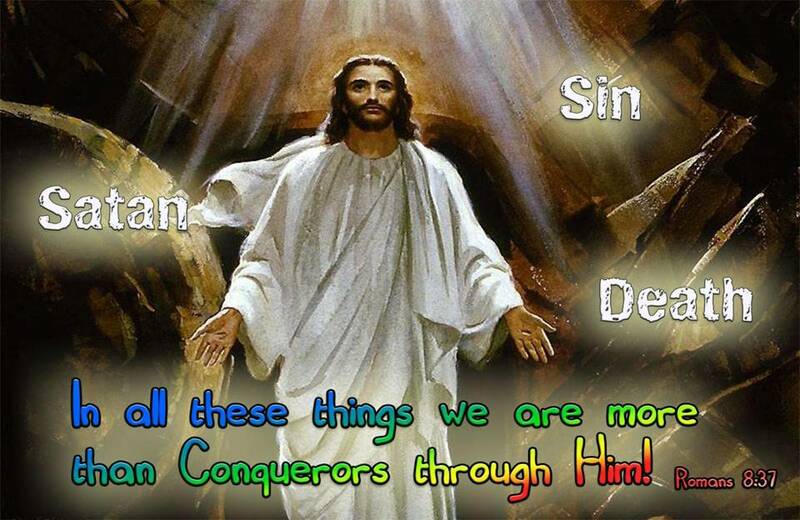 Jesus is the Conqueror! Hebrews 1:3.”After making purification for sins, he sat down at the right hand of the Majesty on high, having become as much superior to angels as the name he has inherited is more excellent than theirs. Jesus made a once and for all “purification of all sins of all mankind for all time!” Jesus conquered the greatest enemy in the entire universe, stronger than any foe ever dreamed up by Marvel Comics! Jesus defeated the “Death Star” of Sin!  “Making purification” is a reflective tense, indicating that the thing done returns to the doer.  All Glory belongs to Jesus Christ, for all glory reflects back upon Him! Jesus is the Message of God’s Steadfast Love, and His Word is the Justice that manages our world and His Righteousness is ours by faith, for He has purified this world of sin! Hebrews 1:3-4 He sat down at the right hand of the Majesty on high, having become* as much superior to angels as the name he has inherited is more excellent than theirs. The proof of the surpassing Jesus Christ can be seen by all those who behold God. Jesus Christ is sitting at the right hand of our Majestic God! Their radiance is now one! Their authority is now one! Their power is now one! But simply because He sits on the right hand of Majesty, this does not mean that you can behold His Majesty in your life. The only way you can behold the Majesty of Jesus Christ, hear His message, experience the power of His Word and know the purification of sins that He offers, is for you to bow before Him in humility and repentance, and make Him your Lord and King! 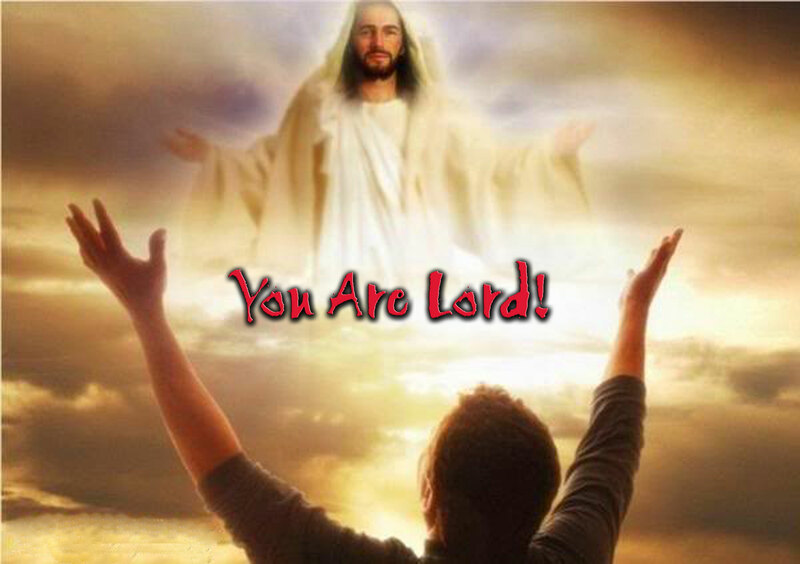 Simply because Jesus is positioned above all does not guarantee He will be worshipped as Lord over all. The Holy Spirit wants us to wrap our hearts around the Lordship of Jesus Christ, the view of Him upon the Throne! Why does the Holy Spirit consider this truth so important? People through the ages tend to worship something or someone rather that Jesus Christ. Either they feel He is out of reach, that they must use an intermediary (as the Catholics & Orthodox Church with their ‘saints and icons’), or that He is just a “super angel” (as the Mormons and Muslims believe). 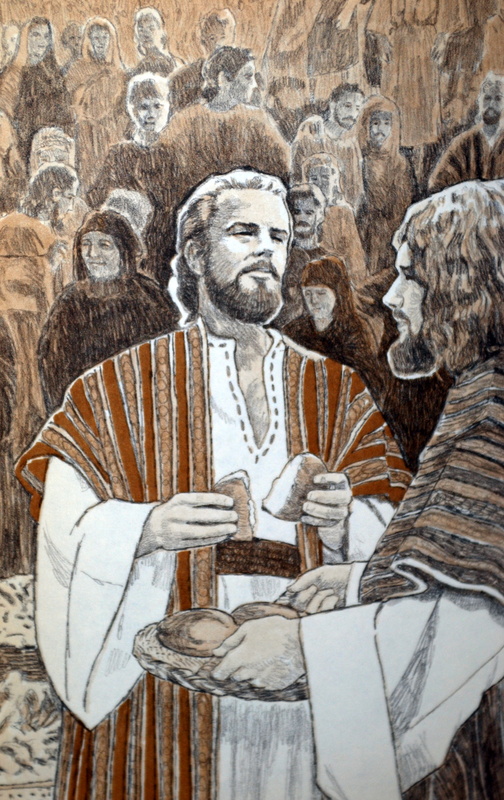 Now the old covenant was brought to man and maintained by angelic mediation. 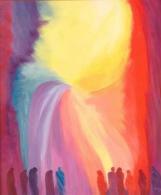 The angels ministered between God and men to carry on the work of the old covenant. The Jews knew this and consequently believed in angels. Some of them believed in angels to such a degree that they actually worshiped angels. Paul’s statement in Colossians 2:18 shows that the self-appointed teachers at Colossae taught a doctrine of “false humility and the worship of angels.” But the pagan Greeks had no concept of angels. This is a tenet of Judaism and became further corrupted into the heresy of Gnosticism. 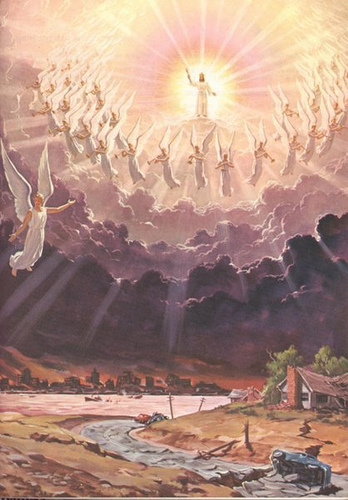 Gnosticism (along with many other things), involved the worship of angels. Gnostics reduced Jesus Christ to an angel. The tenor of the false doctrine at Colossae was that the Colossians were not complete in Christ (Colossians 2:8-9 See to it that no one takes you captive by philosophy and empty deceit, according to human tradition, according to the elemental spirits of the world, and not according to Christ. For in him the whole fullness of deity dwells bodily,) and needed to approach God through angelic beings. Since the angels are much inferior to the Supreme God, the Colossians would have to lower their sights, so to speak, by approaching angels first! The basic thought seems to have been the Christian’s need to reach beyond Christ to a Supreme God through the mediation of angelic beings. These beings were of lower standing on the ascending scale to ultimate truth. Therefore the believers who sought to reach God directly or through one mediator, Christ, were presumptuous and needed a measure of self-abasement that would enable them to begin lower down on the scale. They could seek gradual completeness by invoking the mediation of lower, but more readily accessible, beings. This self-imposed humility, along with the active neglect of the body, would enhance their spirituality and their quest for completeness. Paul’s evaluation of the Colossian heresy was that it did not amount to true humility, as they had thought, but to a type of pride and carnality — a mere “appearance of wisdom” (2:23) — that was denying the significance of Christ. Paul corrected this heresy by stressing that all believers were members of the Body of Christ, who is the Head. Since Christ had triumphed over all “powers and authorities” (2:15), the members of Christ’s Body did not need anything beyond Christ. So Chapter one is important to frame your View of Who Jesus Christ is, and how He relates to your faith walk! 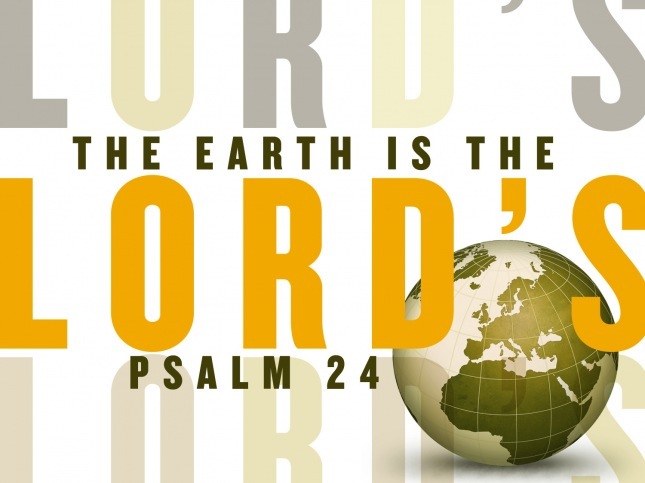 Jesus is the Creator who maintains this world through the power of His Word. Jesus is the Conqueror, having purified this world. 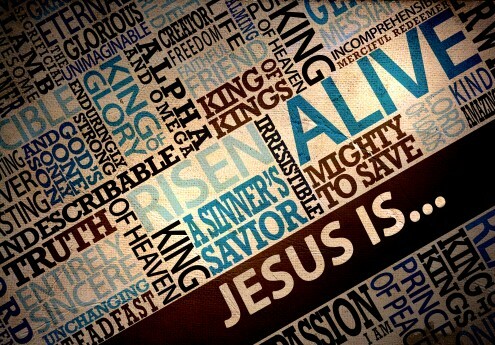 Jesus is the one who is crowned as King of Kings and Lord of Lords. But to behold His Majesty, you must crown Him King and Lord of your life! Spiros Zodhiates, The Complete Word Study Dictionary – New Testament, (Chattanooga, TN: AMG Publishers, 1993), WORDsearch CROSS e-book. Kenneth S. Wuest, Wuest’s Word Studies – Volume 2: Word Studies in the Greek New Testament, (Grand Rapids, MI: Wm. B. Eerdmans, 1973), WORDsearch CROSS e-book, 42.